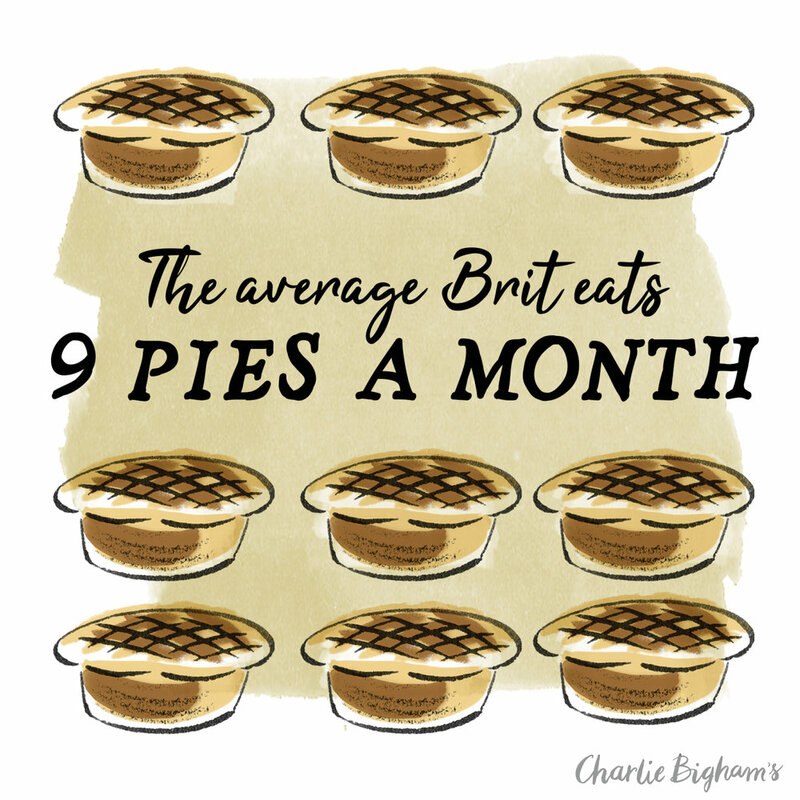 It seems months of economic and political uncertainty, an unwavering love of traditional flavours and changing eating habits are driving extraordinary demand for the ultimate comfort food – the trusty pie – with the average Brit chomping down a staggering nine pies a month according to new research* from luxury pie maker Charlie Bigham’s. Who ate all the pies? 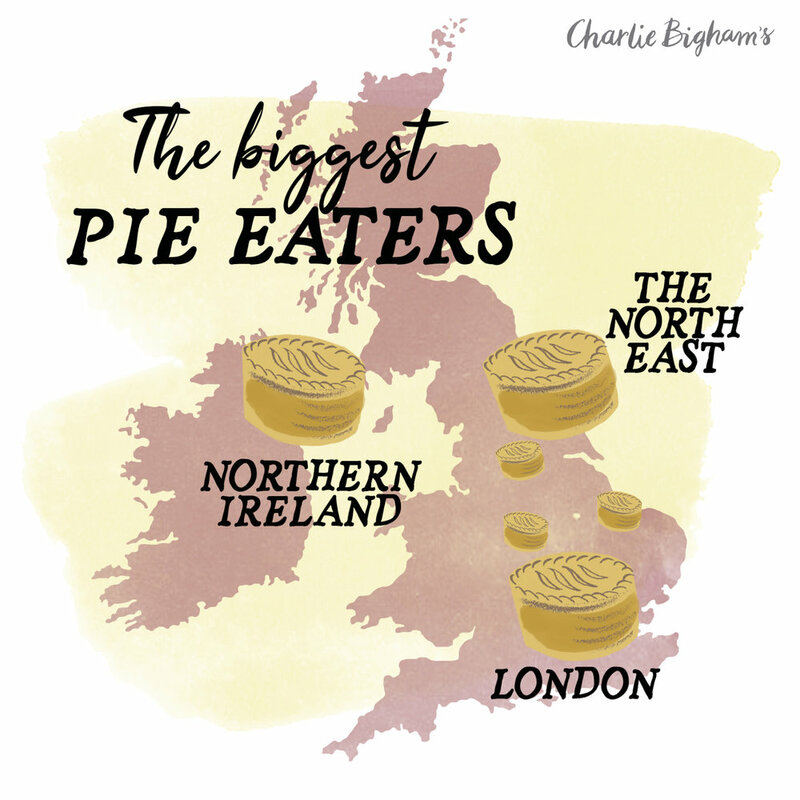 The country’s biggest pie fans, who eat over 20 pies on average a month, are aged between 25-34 years (40%) and can be found living in the North East and Northern Ireland (31% a piece), closely followed by London (28%). 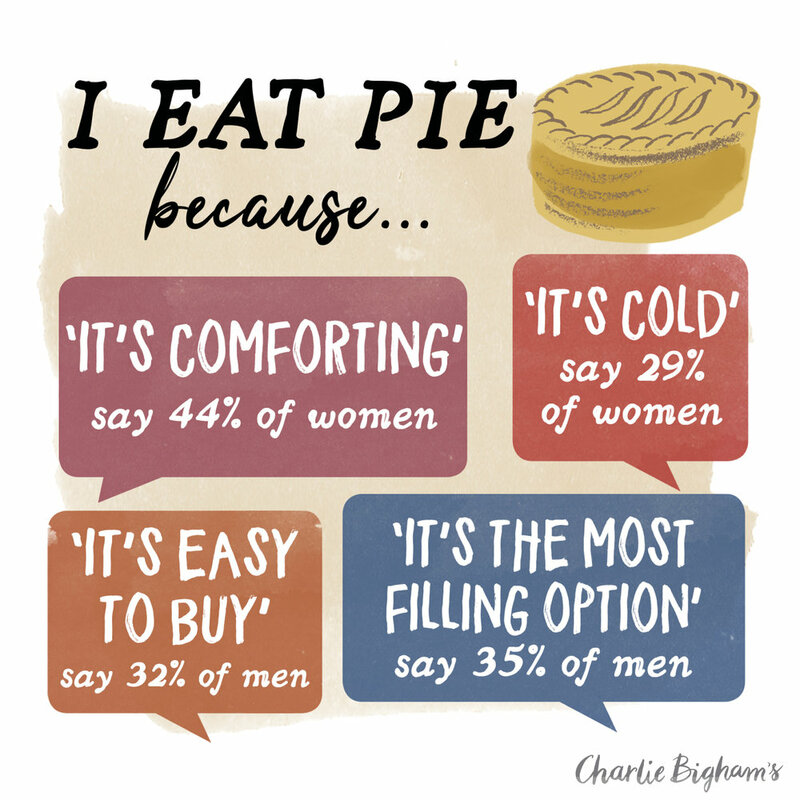 Women are the biggest comfort eaters of pies. Pie time – The pie’s popularity with a younger audience is driven mainly by its convenience and portability. Almost one in ten have admitted to eating a pie on the tube or train, 16% at work and 14% at a sporting event. 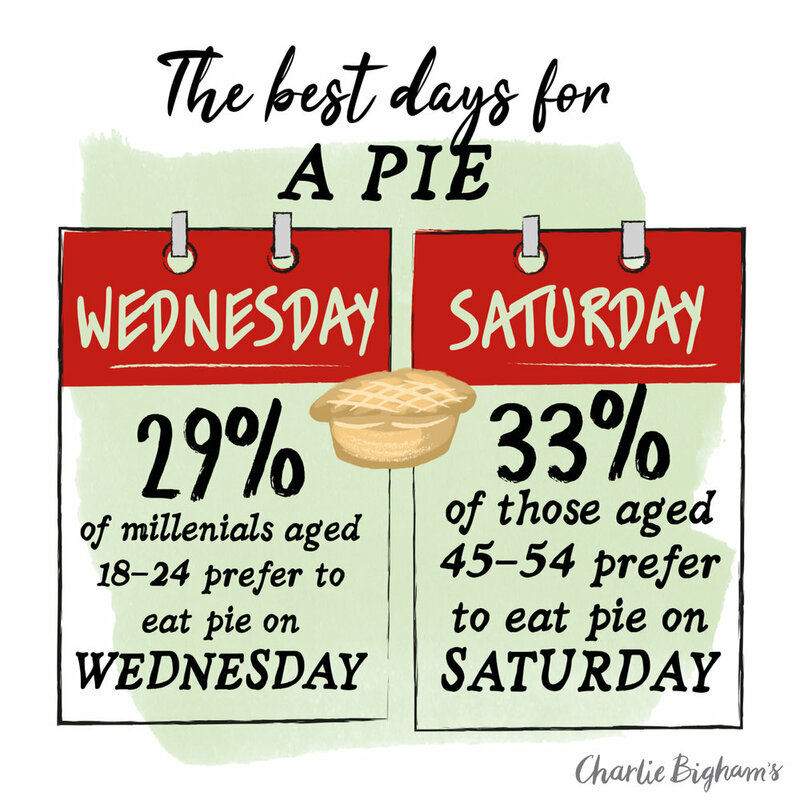 Similarly, pies are helping younger generations survive the week with a third eaten on Wednesdays as the perfect hump day treat. 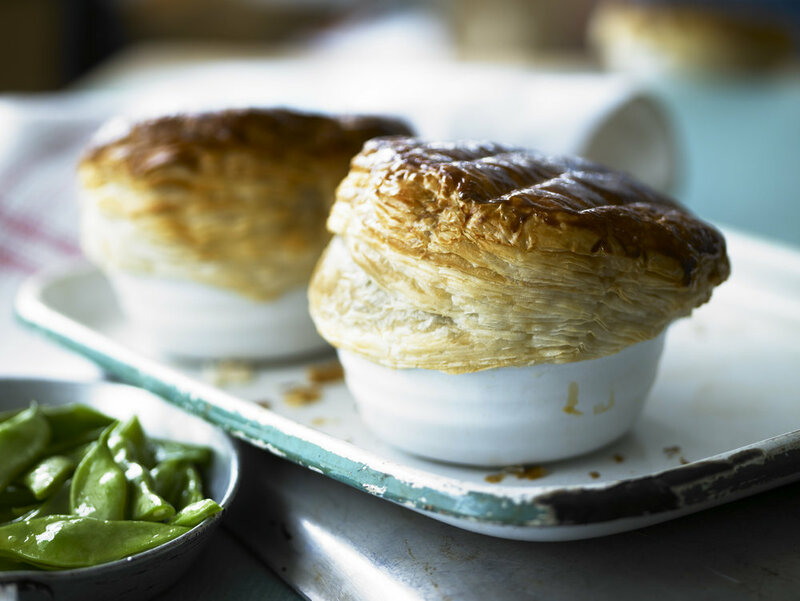 Do us a flavour – Despite the growing trend for vegetarian and vegan cuisine in the UK, beef features in half of the nation’s favourite pies. When asked about their dream pie – Brits were similarly meat focused with turkey and rabbit chosen as potential new flavours. Sweetie pie – Whilst three quarters of respondents chose savoury over sweet, traditional flavoured sweet pies also remain firm favourites. Apple Pie, overwhelming so for 45% of Brits followed by: Lemon Meringue Pie (34%); Apple and Blackberry Pie (27%); and Mince Pies (21%). Taste rules supreme – Pies are no longer cheap, tasteless fare according to the research: only 7% are now eaten at sporting events and over a quarter are open to trying new flavours with quality and taste cited as critical factors for over a third. “We hear a lot about wacky new ingredients and foodie fads but there’s something reassuring in knowing that when it comes down to it there’s not much that beats a good old pie. It’s no surprise to me that simple, traditional flavours are still the clear winners. Steak & Ale is our best seller and like all our pies its packed full of taste, there’s no scrimping on the meat and our puff pastry is hard to beat”. 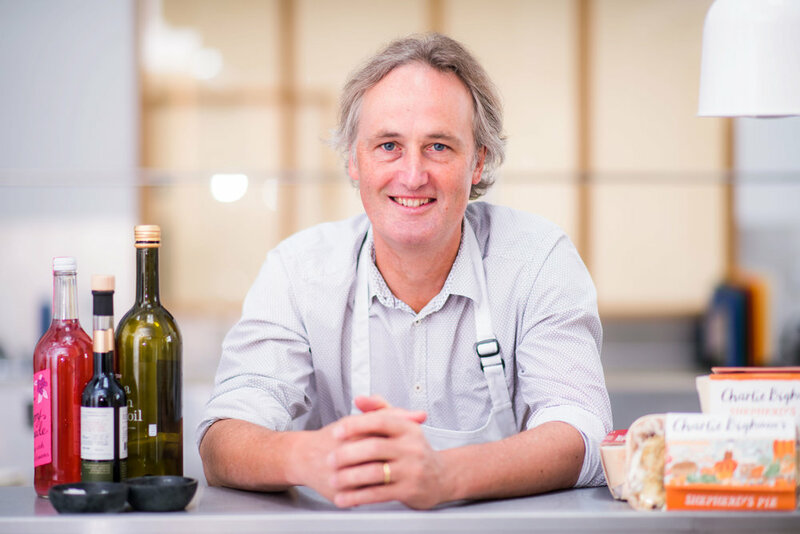 As well as its range of pastry and potato topped traditional pies, Charlie Bigham’s makes meals inspired by classics from the UK and around the world. Favourites including Chicken Tikka Masala, Lasagne and Macaroni and Cheese, taste just like homemade favourites and can be bought for one or to share. 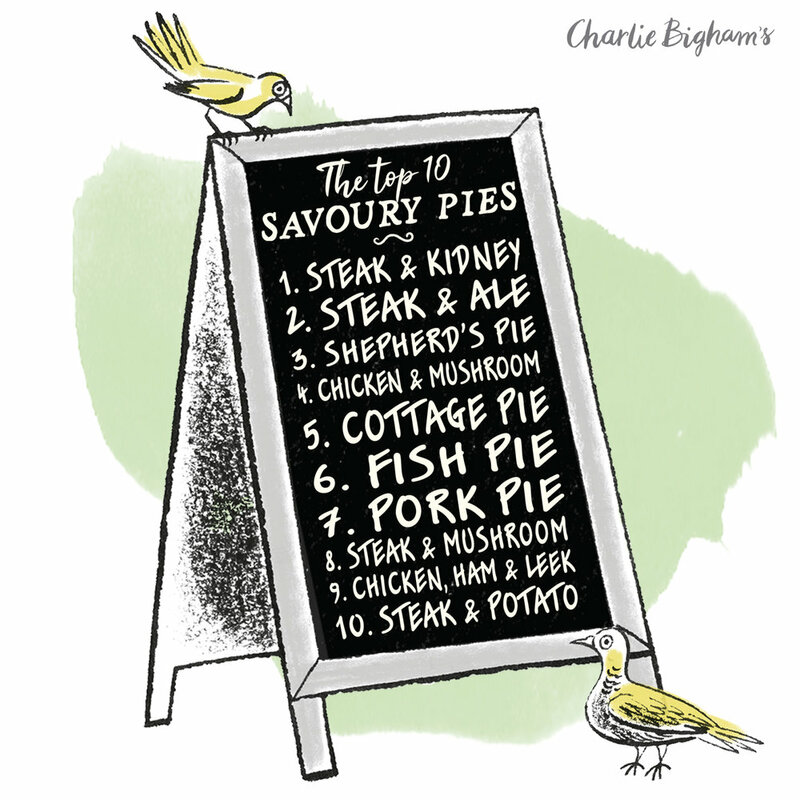 · 1 in 10 Londoners have named the bath as the strangest place they’ve eaten a pie. 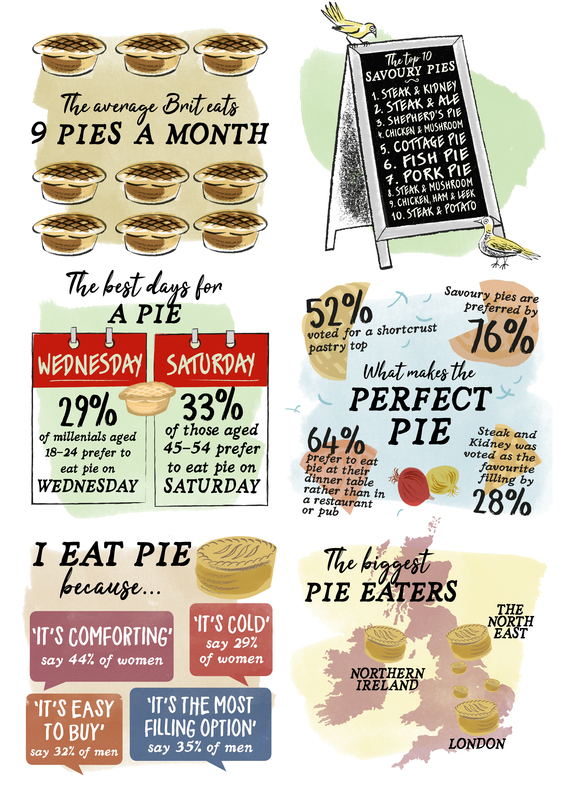 · Three quarters of people living in the North East of England have made a pie from scratch, making them more likely than any other region to do so. 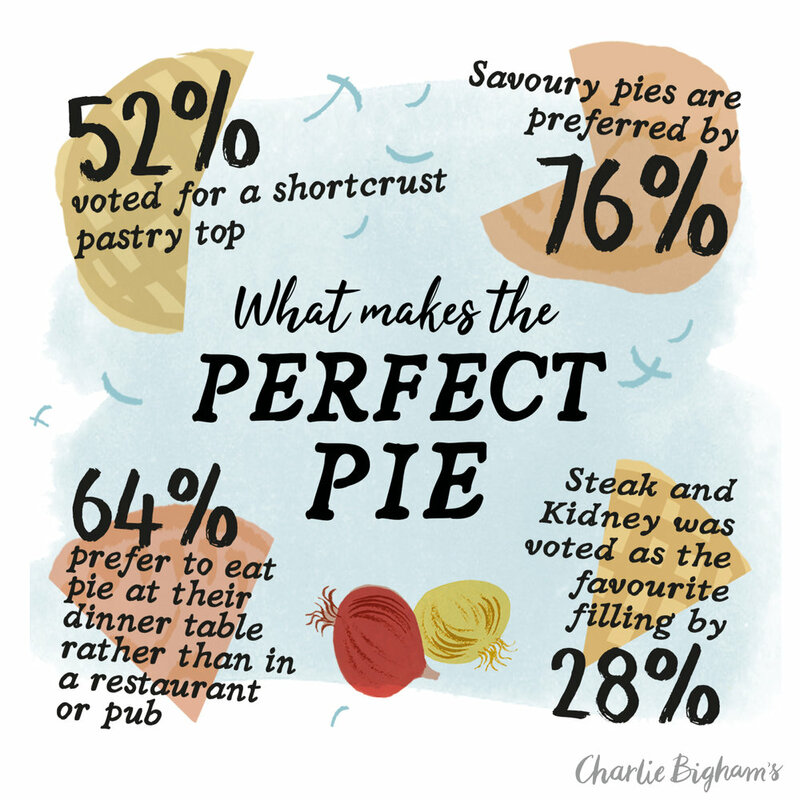 · Only 46% of Scots have made a pie from scratch compared to a UK average of 60%, making them the least likely to have made a pie in the whole of the UK.